The Perfect Little Princess – Cake Expo Melbourne – Food from Home blog! It’s perfect for a special occasion. 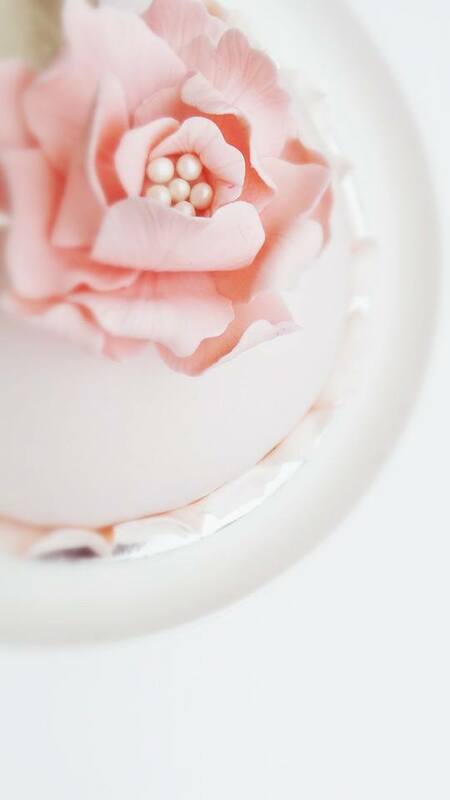 It is a delicate cake, and looks best with simple decorations. Line two baking trays with baking paper. Whisk the egg yolks with the caster sugar in a mixing bowl, then add the cornflour and stir to combine. Place the milk, vanilla seeds and scraped vanilla pod in a saucepan and bring to a bare simmer. Pour about a quarter of the hot milk onto the egg yolk mixture, immediately stirring until smooth. Add the egg yolk and milk mixture to the pan with the remaining hot milk stir well till combined and smooth. Continue cooking until the mixture thickens and bubbles in the centre, stirring well to make sure the crème patissière does not burn on the base of the pan. Taste the crème patissière to check it is cooked; it should not taste floury. The texture should be smooth and thick. Transfer to a bowl or tray. To prevent a skin from forming, cover tightly with cling film, pressing down firmly to make sure there are no air pockets. Allow to cool to room temperature place back into a clean mixer bowl with a paddle attachment and on medium speed begin adding the room temperature butter in small amounts beat until the butter is well incorporated and the custard is smooth, chill until further use. Beat the whole eggs and icing sugar together until pale and fluffy. Sift together the flour and ground almonds, then gently fold into the egg mixture using a spatula. In a clean dry bowl, whisk the egg whites with the sugar until they reach soft peaks. Fold the meringue mixture into the batter. Divide the batter evenly between the two prepared baking trays and level the surface using a palette knife or the back of a spoon. Bake for 8–10 minutes on a low shelf, depending on your oven. The sponge is cooked when the sides are beginning to shrink away from the edges of the tin and the top is lightly golden brown and springs back to the touch. Allow to cool outside of the oven but leave the sponges in the baking trays. Once cool, cover with cling film to prevent the sponge sheets from drying out. Place the sphere mould on top of a small round cake tin to hold it steady. Line the inside of the mould with clingfilm, overlapping the edges. Cut out a 30cm round from one of the sponge sheets. Use it to line the inside of the sphere mould, leaving a small overlap around the outside edge. Trim off any excess using a pair of kitchen scissors. Fill a piping bag with the custard filling. Snip an inch off the tip and pipe a thick layer into the bottom of the cake mould, then place six fresh raspberries evenly over the custard. Pipe another layer of buttercream on top. 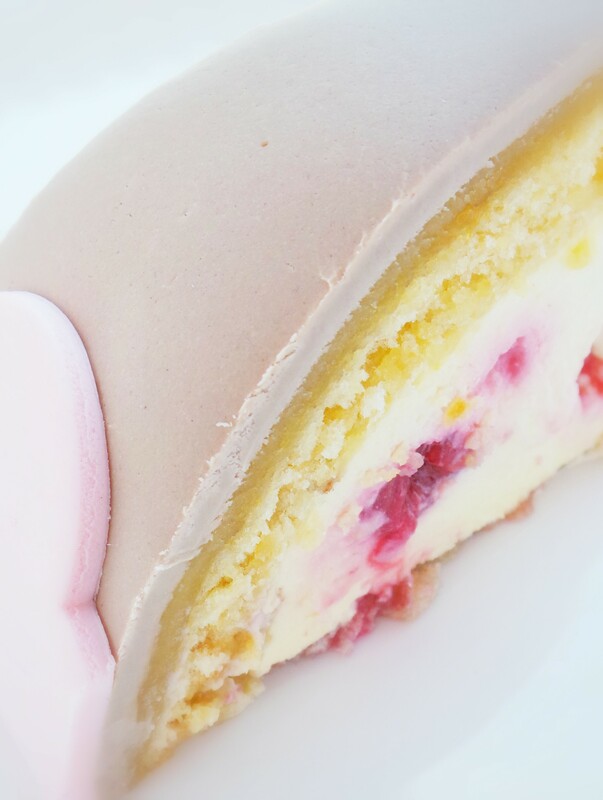 Continue adding layers of buttercream and fresh raspberries until you have almost reached the top edge of the mould. Level off the last layer of cusard using a palette knife. Cut out two 15cm rounds from the remaining sponge sheet using a pastry cutter. Sandwich the two rounds of sponge together with a thin layer of raspberry jam. Place the two sponge rounds on top of the buttercream-filled mould. Place a layer of clingfilm over the top then place the 6 inch cake board on top. Trim any excess sponge from around the edges of the mould. Cover all with another layer of cling film over the top tightly. Chill for at least 4–6 hours or preferably overnight. While your cake is setting in the fridge, make the flower decorations. 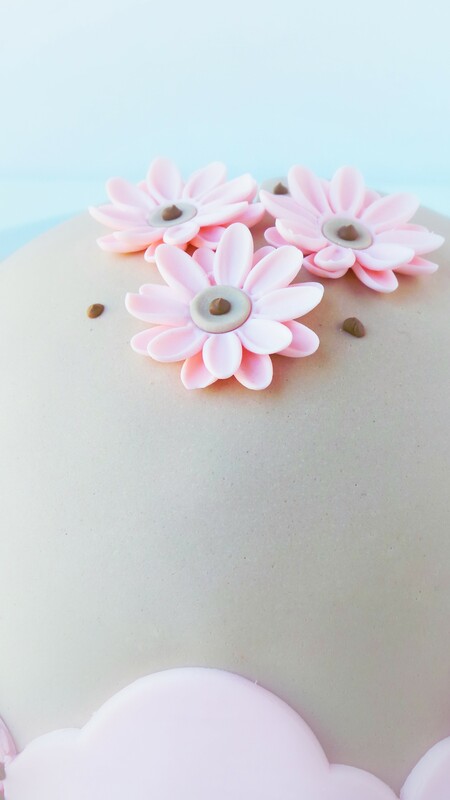 For the pink-coloured fondant, mix 400g white fondant with few drops of pink food paste colour to blend together a very pale shade. To prevent it from drying out, keep the sugar paste wrapped in cling film until use. 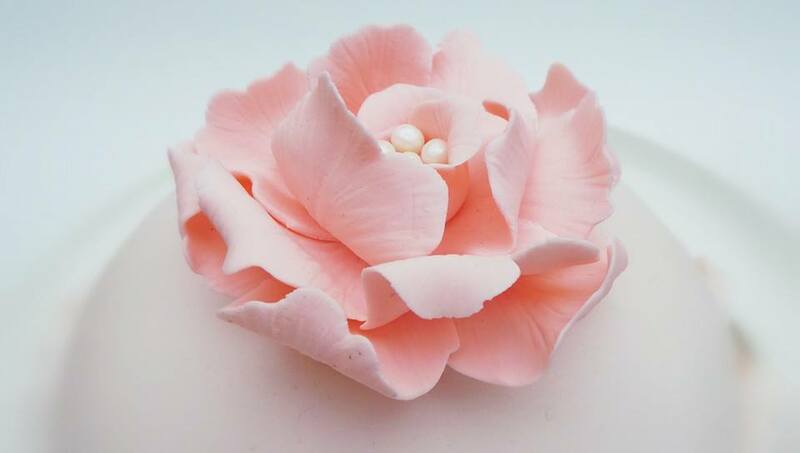 Make 3–4 flowers in different shades of pink fondant with sugar paste hardener added so that the flowers will air dry quicker and hold their shape. Once the cake has set, remove it from the fridge and turn it out on the 8 inch cake board. Remove the mould and the cling film. On a surface dusted with icing sugar, roll the marzipan out to a thickness 3–4mm. It must be large enough to cover the dome. Using a rolling pin, lift the rolled marzipan and lay it over the dome cake. Smooth the marzipan down the sides of the dome using your fingers. Tuck the edges down and trim away any excess marzipan using a kitchen knife. Roll out the pink sugar fondant and place over the marzipan the same way. Trim away any excess sugar paste as before. Cut a 2.5cm wide strip or scalloped edge that is long enough to go all around the base of the dome to create a swag border. To finish, placed a flower on top of the dome. Be creative its up to you but keep it simple! This cake has a shelf life of 3 days when stored in the fridge, however the decoration may become soft and sticky in cold humid conditions. Therefore, I recommend making the cake no more than 2 days in advance of serving and consuming it. 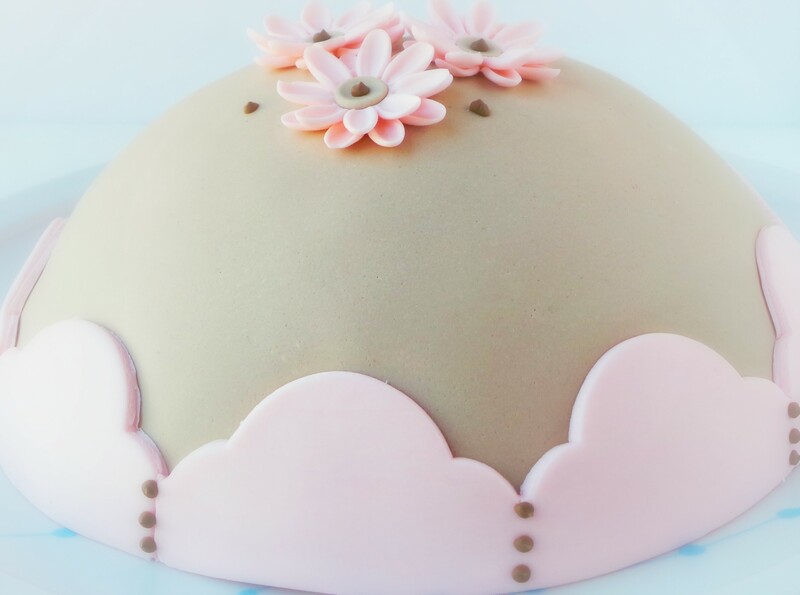 This recipe was inspired by the wonderful Dome Cake by Peggy Porschen. Hi Maria – I made the Princess Cake last week (it is my husband’s favourite cake), after watching you at CBSS recently. It was absolutely delicious but mine didn’t set well. Would you suggest more flour or cooking the custard filling for longer or ?? ?